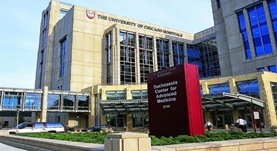 Currently practicing at the The University of Chicago Medicine Center as the director of the mesothelioma program, Dr. Kindler is one of the top experts in the country dealing with this type of cancer. 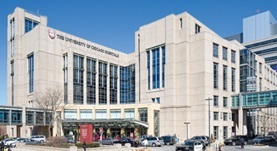 She completed her medical school in 1989 at the State University of New York in Buffalo and her residency at the University of California Medical Center. After completing her fellowship at the Memorial Sloan-Kettering Cancer Center, Dr. Hedy Kindler started focusing on research and clinical trials of newly developed treatment methods for the above mentioned mesothelioma. These studies earned her current position, and a very well respected reputation in the medical community. Dr. Hedy L. Kindler has contributed to 3 publications. Extended Pleurectomy and Decortication for Malignant Pleural Mesothelioma Is an Effective and Safe Cytoreductive Surgery in the Elderly. Williams, T.,Duraid, H.,Watson, S.,Durkin, A.,Todd, K.,Kindler, H. L.,Vigneswaran, W. T.; Ann. Thorac. Surg. S. G.,Li, P.,Husain, A. N.,Straus, C.,Khanwalkar, A.,Kindler, H. L.,Vigneswaran, W. T.; Lung Cancer.